The most successful child performer since Shirley Temple (Mickey Rooney wasn't a star until his teen years), Macaulay Culkin first stepped onto a New York stage at the age of four. Extensively trained for his craft, including a stint with Balanchine's School of the American Ballet, young Culkin became a familiar TV-commercial face and was spotlighted in several film supporting roles, the best of which was as John Candy's inquisitive nephew in Uncle Buck (1989). After an unbilled cameo in Jacob's Ladder (1990) and prior to an appearance in a Michael Jackson video, Culkin was cast as the preteen protagonist of Home Alone, a Three Stooges-like combination of violent slapstick and sappy sentiment that was the highest-grossing film of 1990. 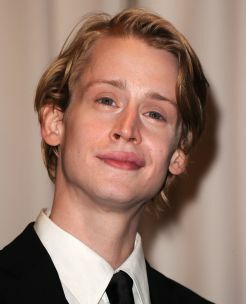 Culkin thereby became the highest paid child actor of all time, and one of the few under-13 performers who could be counted on to "open" a picture. Two more blockbusters followed: My Girl (1991) and Home Alone 2: Lost in New York (1992). At the time, the boy's career was under the tight control of his father Christopher "Kit" Culkin, an erstwhile actor who also managed the careers of Culkin's younger, equally photogenic siblings, and stories began to emerge from Hollywood concerning the elder Culkin's on-set behavior. Meanwhile, Macaulay's box-office appeal began waning, partly due to indifferent response to his next few films -- The Good Son (1993), Getting Even With Dad (1994), and Richie Rich (1994) -- but chiefly because he was outgrowing his cuteness and spontaneity. 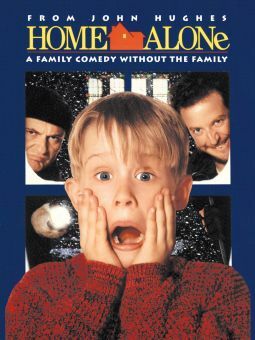 In June 1995, Culkin's mother went to court to remove the boy from Kit's custody, insisting that the father's contentiousness was ruining Macaulay's chances of revitalizing his career. At a few months shy of age 18, Culkin married actress Rachel Miner in 1998, but the couple separated in 2000. The former child star re-emerged in 2002 in documentarians Fenton Bailey and Randy Barbato's feature debut, Party Monster, the true-life story of the rise and fall of a young club promoter. He enjoyed a lengthy relationship throughout the 2000s with Mila Kunis. Took ballet lessons as a child. Made his film debut in the 1988 drama Rocket Gibraltar. Earning about $8 million for one movie, he was the highest paid child star of all time. Tap danced with Bob Hope in one of Hope's Christmas specials. Left acting when he was 14; came out of retirement nine years later to star in the 2003 drama Party Monster. Got married at 17, was separated two years later and then divorced. Published a book in March 2006 called Junior; it included quizzes, poems, letters and sketches. Is the godfather to two of Michael Jackson's children.